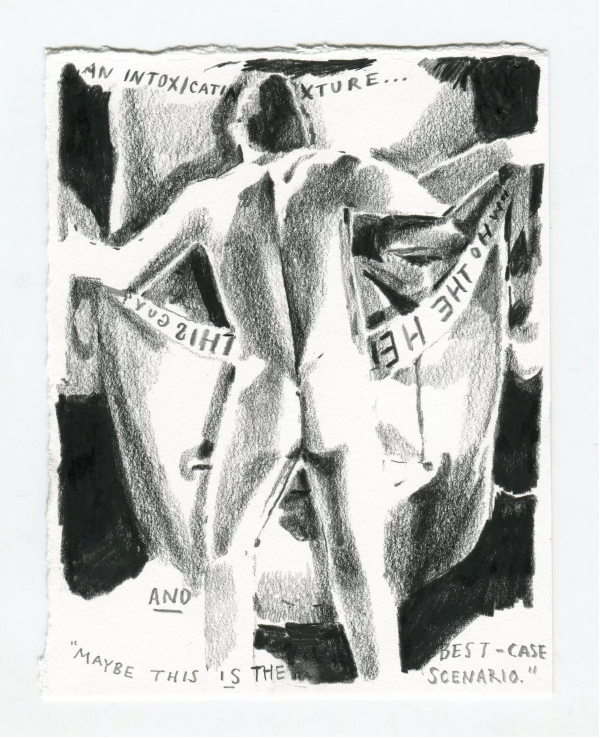 MFA Fine Arts Alum James Hsieh in Solo Installation, "Pentagram Invasion"
Logan T. Sibrel, Best-Case, 2018, Pencil on paper, 6.75 x 5.25 in. Courtesy the artist. Logan T. Sibrel is a Brooklyn-based visual artist and musician. All Sibrel’s work, visual and performative, deals with intimacy, desperation, and power struggle. His paintings and drawings are as humorous as they are heavy — a serious joke. While this approach runs the risk of trapping the viewer/participant into an experience of the work that is preordained, Sibrel manufactures situations that promote flexibility, that vacillate between confrontation and ease. Sibrel’s sexualized characters are often proxies for himself. He’s able to manipulate these characters, turning the knobs up and down on his own desirability.